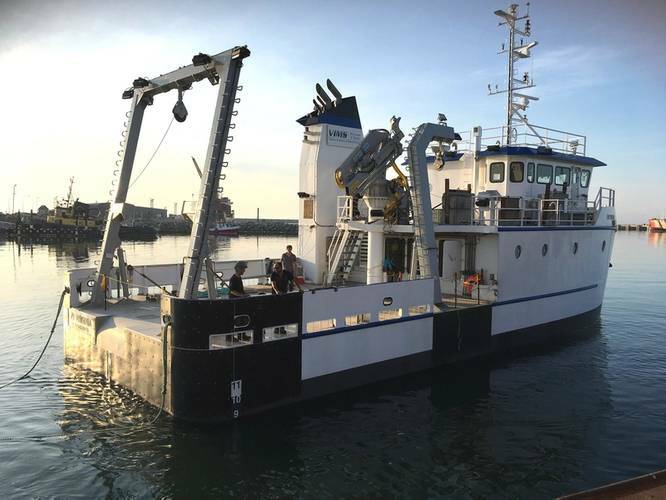 A new research vessel for the Virginia Institute of Marine Science (VIMS) has completed sea trials and is transiting to its home port in Virginia. The new vessel, the R/V Virginia, will support the institution’s fisheries research projects and greatly expand VIMS’ capability to perform general oceanographic research in the Chesapeake Bay as well as mid-Atlantic coastal waters. Interest in the new research vessel is already growing rapidly as next season is almost fully booked with science cruises. The 93-foot vessel was built by Meridien Maritime Reparation. JMS Naval Architects performed the concept through contract-level design and provided technical support during construction and sea trials. 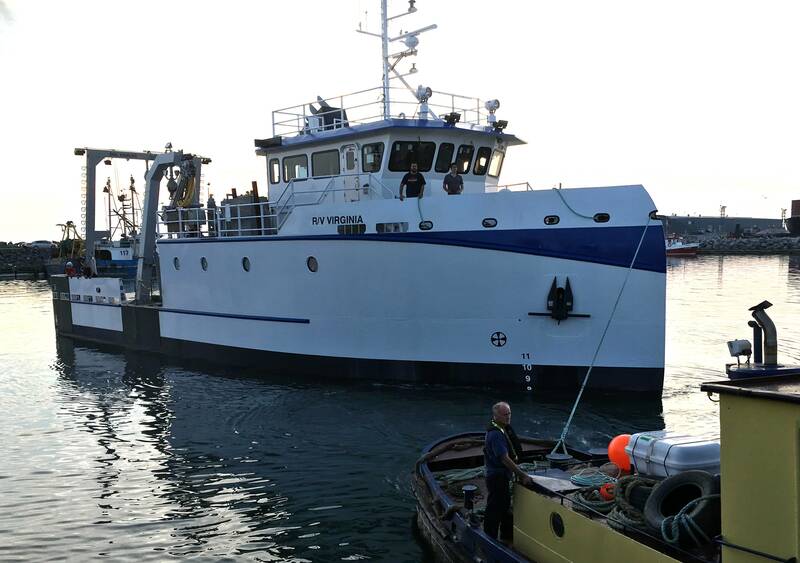 JMS designed the vessel to operate as an uninspected research vessel with an ABS Loadline. The design offers flexibility in science outfitting allowing for high utilization and affordable operating day rates. The vessel is easily adaptable to evolving scientific research areas such as offshore oil and gas exploration surveys, wind energy development surveys, environmental impact studies, and the servicing of ocean observing systems. The vessel makes use of a beam of 28’, relatively low vertical center of gravity and underwater hull form attributes including the propeller nozzle, triple rudders, twin skegs mounted outboard and the single chine hull form to provide high initial stability and significant roll dampening to impart stability characteristics of a larger vessel. Early indications are that the vessel is a very stable work platform in both head and beam seas. Measures were also taken to ensure an acoustically acceptable working environment on board the vessel for scientists and crew. 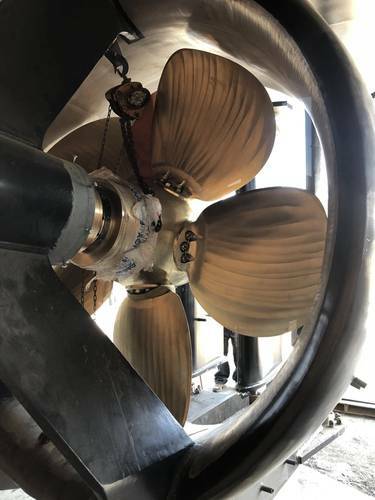 The propulsion engines and generators and their respective exhaust systems are resiliently mounted and acoustic material treatments throughout the vessel minimize noise and vibration levels. 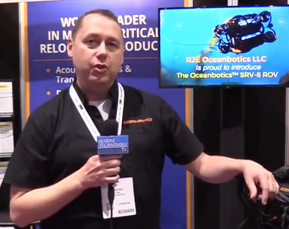 Oceanographic outfitting includes large Wet and Dry Labs which have been designed for maximum flexibility to accommodate the many types of science that the vessel is expected to conduct. The 1,000 square foot main working deck allows for a 20-long-ton science payload and provides a significant working platform for conducting fishing operations, over-the-side sampling and coring activities. There is also ample room and services to install a 20-foot science van for specialized science missions. 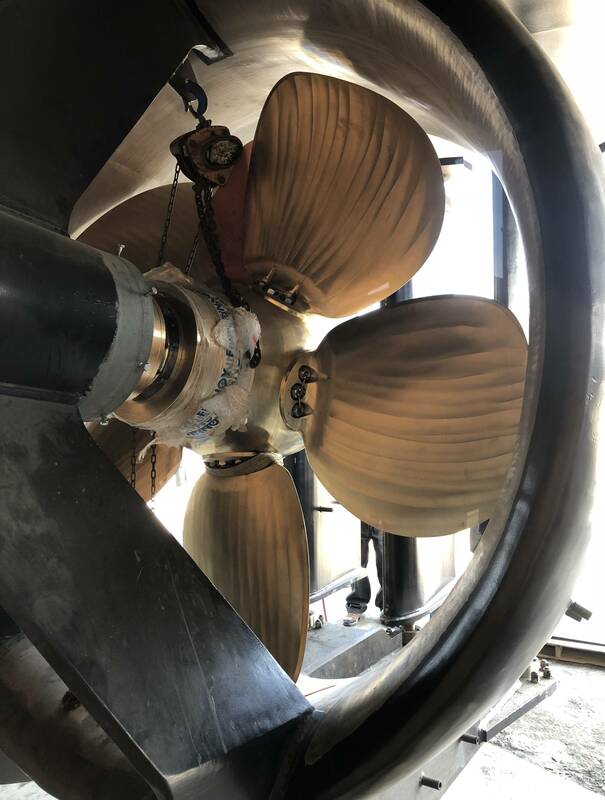 The new research vessel take’s advantage of the latest technology through transducer fairings prepared to receive an extensive array of acoustic instrumentation for the gathering and processing of data in support of fisheries research, oceanography, and geophysical sciences. A full size server rack, with dedicated closed loop cooling and UPS power supply has been fitted to the dry lab in anticipation of the requirements of scientific users.